JOIN US! in New England this May 19th for the annual walk to benefit AHC communities through the AHC Foundation. 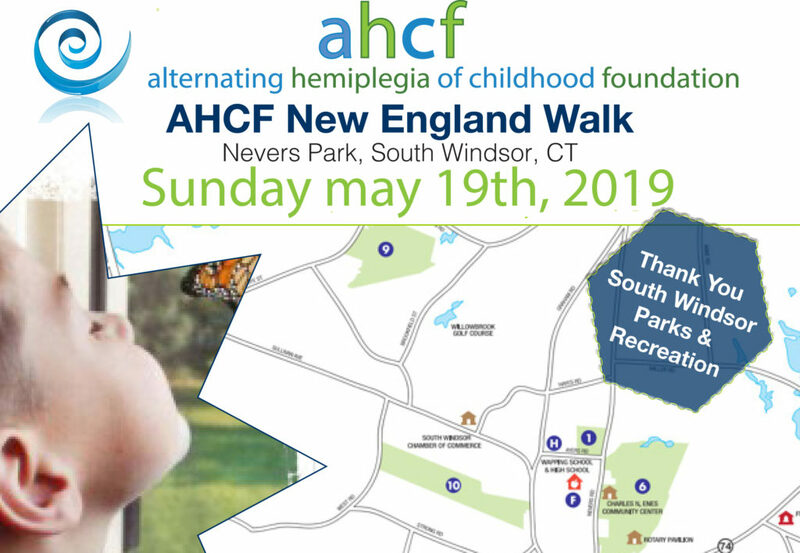 A beautiful 1.5 mile walk through Nevers Park in South Windsor Connecticut with Friends, Music, Raffles, Food Trucks and more are planned. This year, our fundraising is focused on AAV Gene Therapy and related research. The most promising research yet! Learn more about this project by clicking here. To register, please see the poster and link below. We are seeking donations such as gift cards, gift baskets, coupons, merchandise, or cash sponsorships for our event. When you send your tax-deductible contribution, your company will be acknowledged for their donation. The Sponsorship Opportunity form outlines other perks you can receive from your donation. One hundred percent of the funds raised through your donation or sponsorship supports AHC research. It is through the generous support of community members like you that will help start existing grant requests waiting for funding. Three sponsorship opportunities are described below. Your donation is not limited by any category and all amounts are appreciated. Donations of goods or services are also welcome. Your business will be posted on the appreciation board the day of the event. AND You may set up a station/table to represent your business to prospective clients. You supply us with your business cards and/or information and we will pass the information to registered participants via give away bags. AND Your business will be posted on the appreciation board the day of the event. You supply us with your business cards and/or information and we will pass the information to registered participants via give away bags.